They're not the highest-paid supply chain professionals, but pizza delivery drivers are almost certainly America's favorite. 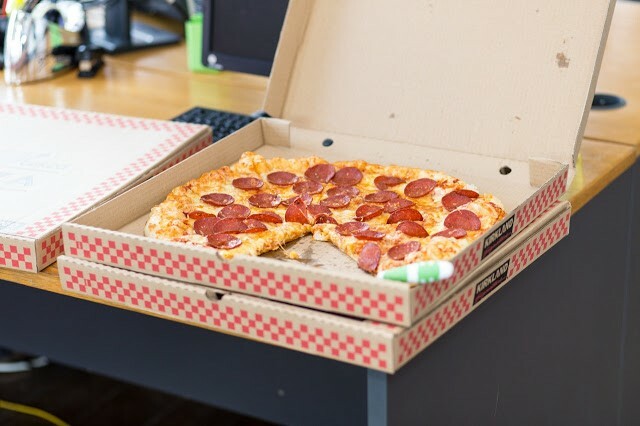 It's estimated that every American eats 46 slices a year, and they couldn't do it without our distributors behind the wheel. Recently, however, both Domino’s and Pizza Hut have made it clear that they’re not opposed to cutting this big slice out of their workforce. Partnering with Ford and Toyota respectively, the nation’s largest pizza chains are in fierce competition to make driver-less pizza delivery a reality. Domino's, for their part, has set up shop in Ann Arbor. Last year, the company's autonomous vehicles made about 100 deliveries over a month-long trial. Though a human employee rode along, the individual did not make contact with customers. After receiving their pizza, these customers were asked to fill out a short survey describing their experience. The Michiganders generally enjoyed the experience, but some expressed their desire to talk with the vehicle itself. Though Domino's has expressed no interest in developing talking vehicles, they do plan to conduct another trial in Miami. Pizza Hut expects to conduct their first trials in 2020. Whereas Domino's concept vehicles resemble traditional cars, Pizza Hut has unveiled plans for a van that's more toaster oven than car. The Toyota e-Pallete will not only deliver pizzas, but promises to feature an on-board kitchen that, according to Artie Starrs (President, Pizza Hut U.S.), "gets the ovens closer to the front door." The e-Pallete was met with more than a little skepticism. Predictably, it also inspired questions regarding the elimination of jobs. Experts remain uncertain what the advent of autonomous vehicles will mean for the nation's nearly 4 million full-time professional drivers, but displacement looks likely. Pizza Hut met this speculation with the suggestion that driver-less vehicles will, in fact, create more jobs than they eliminate. Back in January, the brand's Twitter account made the following statement: "It actually could create more jobs by opening the pool of "drivers" to those who do not own vehicles. They might act more like servers, focusing on hospitality." The Commerce Department predicted in 2017 that 1 in 9 American workers will find their jobs affected by this technology. They did not report on the possibility of job creation. Domino's and Pizza Hut are just two of the many organizations looking to dig into the benefits of autonomous vehicles. Companies including FedEx, UPS, and Uber have already spent years perfecting their recipes. Though test-runs have produced mixed results (to say the least) business leaders remain dedicated to putting self-driving cars on the road. It’s not hard to see why. The Logistics industry, for example, is plagued by inefficiency and missed opportunities as a result of the human element. Truck drivers’ hours are monitored closely and strictly limited. According to Supply and Demand Chain Executive, this means that the average truck is only on the road 40% of the time. While this arrangement serves the drivers’ best interest, it’s far from ideal for their bosses. In theory, self-driving technology will enable them to keep trucks on the road at all hours and reap the considerable benefit. That’s just the beginning. Traveling longer distances at more fuel-efficient speeds, autonomous cars and trucks will pave the way for expedited delivery, reduced labor costs, and a more efficient disbursement of distribution centers. Where pizza is concerned, the prospect of timely, round-the-clock delivery is perhaps less world-changing, but it's certainly an appetizing thought. While self-piloting delivery vehicles have a long road ahead, The Wall Street Journal’s Tim Higgins suggests it's a far less bumpy road than the one facing driver-less taxis. Deliveries are the safer bet, he writes, "because designers can optimize the vehicle for safety without worrying about things like hard braking making passengers uncomfortable." That's not to mention the "messy human interactions of a taxi service, such as passengers getting sick in the back seat." Artificial Intelligence should have no trouble delivering food to someone in a state of inebriation, but cleaning up after that person? That's another story. Whatever the future holds for autonomous vehicles, it's clear that pizza delivery provides a relatively low-risk test case. Without human occupants, Domino's and Pizza Hut's fleet of vehicles could help knead out some of the issues facing other organizations. Questions remain, however, as to whether the benefits of driver-less pizza delivery will outdo the bad taste employee displacement is sure to leave in consumers' mouths.